The Best Carnitas in Town. We are looking forward to serving your next event! D’La Colmena is known for delivering traditional Mexican foods in Santa Cruz County and the Pajaro Valley region. No matter what your event or special occasion is, our catering service staff will work hard so you don’t have to. We manage catering services in Watsonville, Aptos and food catering in Santa Cruz. Let us prepare and deliver a Mexican feast for your next special occasion. We will be happy to provide wedding catering, as well as catering for other special occasions. Is your family preparing to celebrate a recent graduate or a quinceañera? Call our catering services for a taste of traditional Mexican cuisine. Our cooks can provide a meal you and your guests are sure to never forget. Our Mexican food catering company in Watsonville and Aptos provides a wide assortment of traditional dishes to help you celebrate, whether it’s a corporate event or a house party. The staff at D’La Colmena has more than three decades of experience in serving different events. We can provide anything, from breakfast burritos to carnitas plates. From wedding catering in Watsonville or Aptos to a neighborhood party, our catering company in Santa Cruz County has your event covered with high-quality, flavorful foods for an affordable price. Catering services can provide meals designed around your event, including breakfast entrees, enchiladas, fajitas and tostadas. We are a “we cook, you serve” catering company that serves Santa Cruz County an we are ready to make your next event even more special. 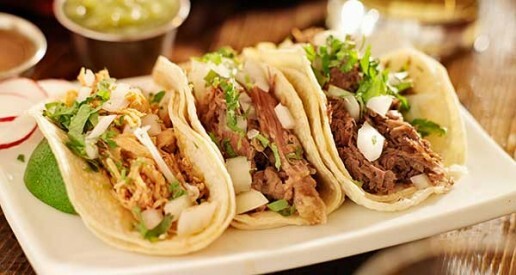 Spice things up with D’La Colmena’s traditional, home-style Mexican food! Whether your having a private party, wedding or office party, our talented chefs know how to prepare delicious Mexican cuisine that everyone loves. We Cook Delicioso, You Celebrate Happy! Ready for Authentic Mexican food? Stop by our Take-Out Taqueria for Breakfast, Lunch or Dinner and experience the difference in taste and service. 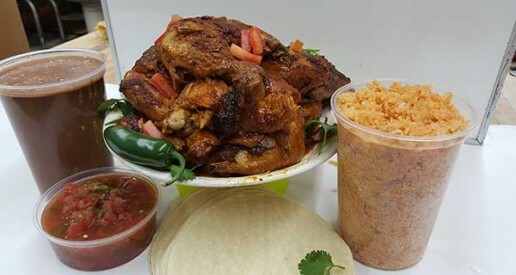 Try our famous carnitas (roasted shredded pork) on Burritos, Tacos or Tortas. Stop by today! 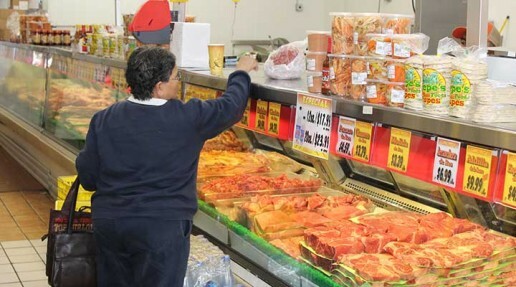 If you live in Watsonville and are looking for a local friendly grocery store, you’ve come to the right place. D’La Colmena has been serving the Pajaro Valley for 30+ years. Our grocery store employees 33 friendly staff members, waiting to assist you. D'La Colmena Market & Catering D'La Colmena Market & Catering added a temporary profile picture.